Each year, there are certain devices and gadgets that the entire family wants, and without a doubt you’ll find a 4K TV at the top of most wishlists. According to our friends at Consumer Technology Association (CTA), TVs will be the number two item on wishlists, and 53% of TVs purchased will have 4K resolution. Looking to buy a 4K? Read this holiday guide first: If you are in the market for a 4K system, you also likely know that size does in fact matter. You may see many doorbuster deals this week for purportedly 4K TVs, but if they are under 55 inches and you plan on sitting less than four feet away, you’re not going to get the viewing experience that you desire. With this in mind, we typically suggest looking into at least a 55 inch 4K TV, and really 60-70 inches is more ideal. So skip the doorbuster TVs that are likely going to be junk and invest in something with staying power. With this in mind, gaming will also be focused heavily on 4K this year. Between the Xbox One S and the PS4 Pro, your favorite systems will be able to further support 4K content. On top of this, Netflix and several other streaming services have begun bolstering their offerings as well. Check out the holiday guide below to learn more. Based on the most popular selling and highest rating 4K TVs and home theater systems on a variety of respected sites, we’ve come up with a little list to help you build yours. 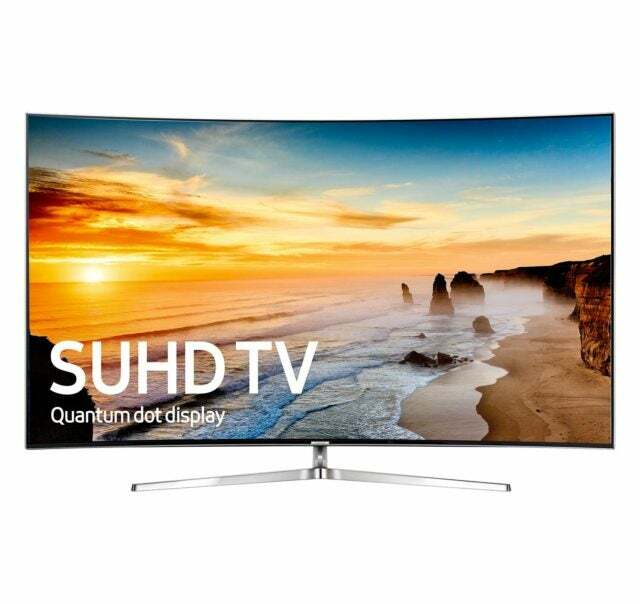 Samsung UN55KS9500 is quite possibly one of the best 4K TVs on the market. With a curved display and minimal bezels, the UN55KS9500 series has a resolution of 3840 x 2160p. 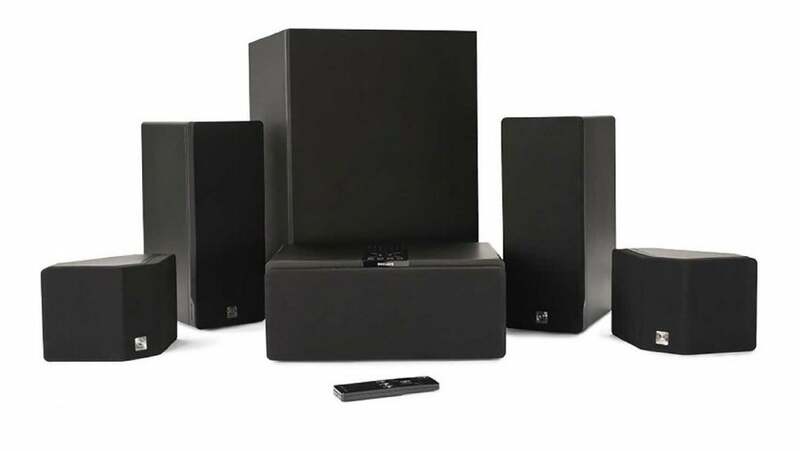 It also has a motion rate of Supreme MR 240, using HRR 1000, and includes Samsung internet connected platform as well as a voice controlled remote. Just be sure to get an audio system. (See image above). LG Electronics OLED55E6P Series (non-curved display) is filled with all the bells and whistles you’d want from a 4K TV. With WebOS 3.0, 3D capabilities, this has some crystal clear visuals. 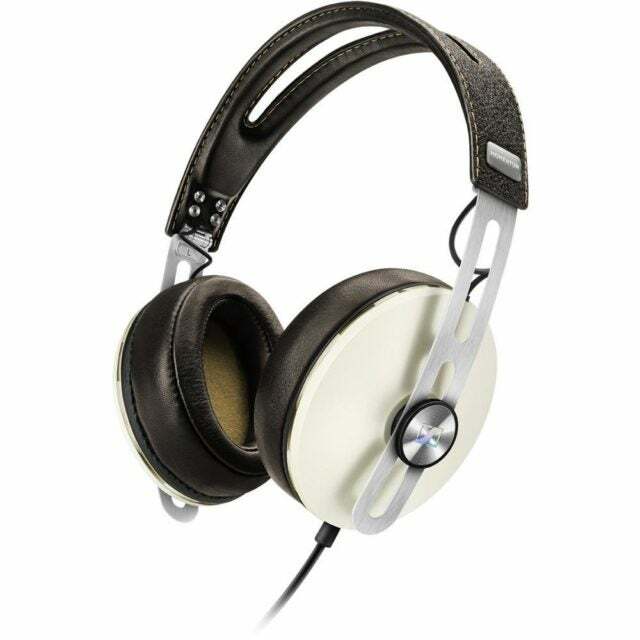 The audio leaves room to be desired compared to some of the other LG models though. Sony XBR-X930D series is perfect for the netflix streaming and gamer in the family. The only faults in this one are a bit of loss of saturation at an angle and as expected, audio. LG OLEDB6 Series may have a few less bells and whistles than the LG OLEDE6 series, but you also save nearly a grand for still an incredibly high quality viewing experience. If you’re looking for bang for your buck and prefer LG, this is the one to get. Vizio M or P Series 4K TVs are the high-end 4K versions of their lineup. Between affordability and generally high marks, these come in at both the right size and quality. 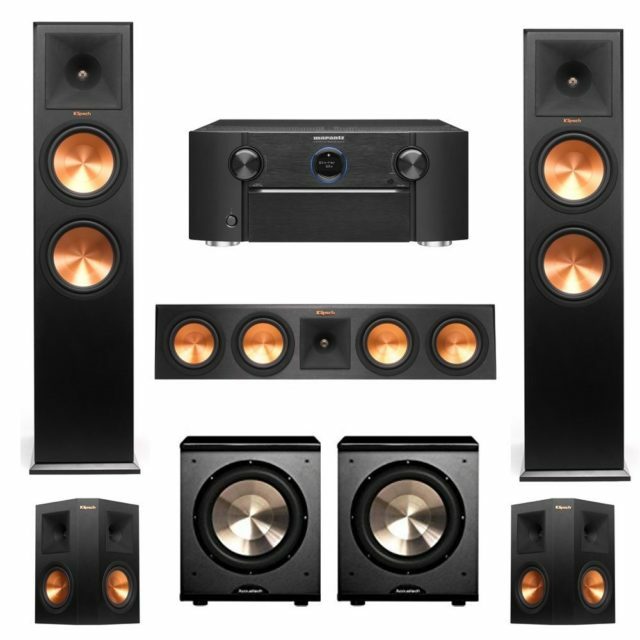 Klipsch RP-280F, RP-450C, RP-250s, 2 PL-200 Subwoofers, 5.2 Home Theater System with Marantz SR7010 9.2 Channel Full 4K Ultra HD AV Surround Receiver with Bluetooth & Wi-Fi. (See image above). 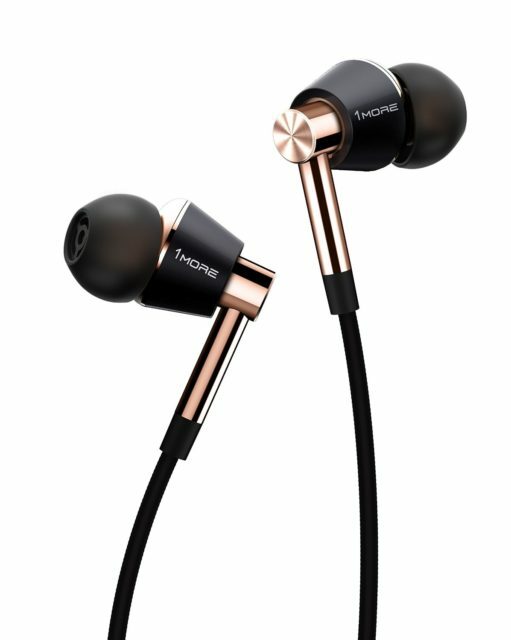 1MORE Triple Driver In-Ear Headphones (See image). Stay tuned for the rest of our holiday guide throughout November. We’ll be covering: fitness and health gifts, computers, tablets, smartphones, and tech fashion accessories. You can find our first part of the guide on general tech and gaming, drones and tech toys, techie stocking stuffers, and the best gift box subscriptions.